Marisha Pessl's soon-to-be-published literary thriller Night Film as been optioned for film by Chernin Entertainment. Rupert Wyatt (Rise of the Planet of the Apes) is attached to direct; a screenwriter has yet to be named. Pessl's debut novel, Special Topics in Calamity Physics, was the winner in 2006 of the Flaherty-Dunnan First Novel Prize sponsored by the Center for Fiction. 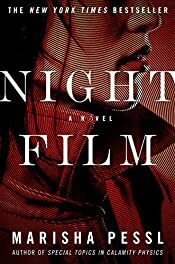 Night Film will be published in August 2013 by Random House (more details, below). On a damp October night, beautiful young Ashley Cordova is found dead in an abandoned warehouse in lower Manhattan. Though her death is ruled a suicide, veteran investigative journalist Scott McGrath suspects otherwise. As he probes the strange circumstances surrounding Ashley's life and death, McGrath comes face-to-face with the legacy of her father: the legendary, reclusive, cult-horror-film director Stanislas Cordova — a man who hasn't been seen in public for more than thirty years.